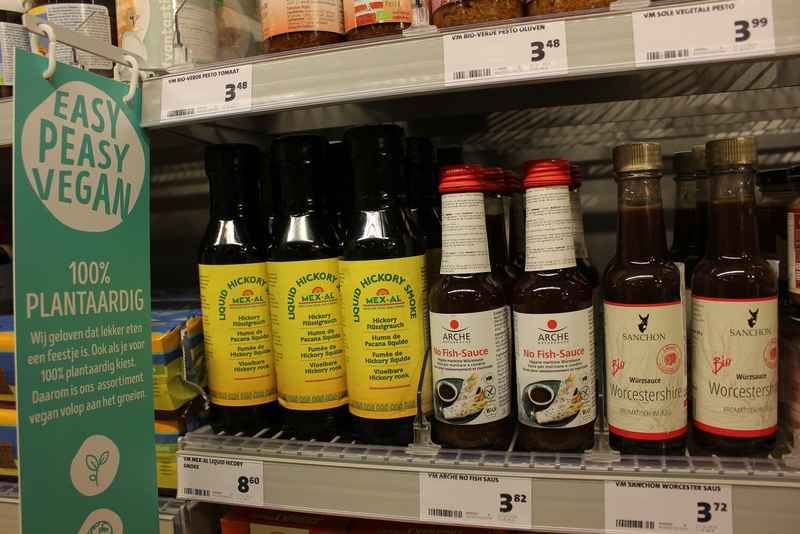 Home » A giant vegan section at Jumbo Stadhouderskade! 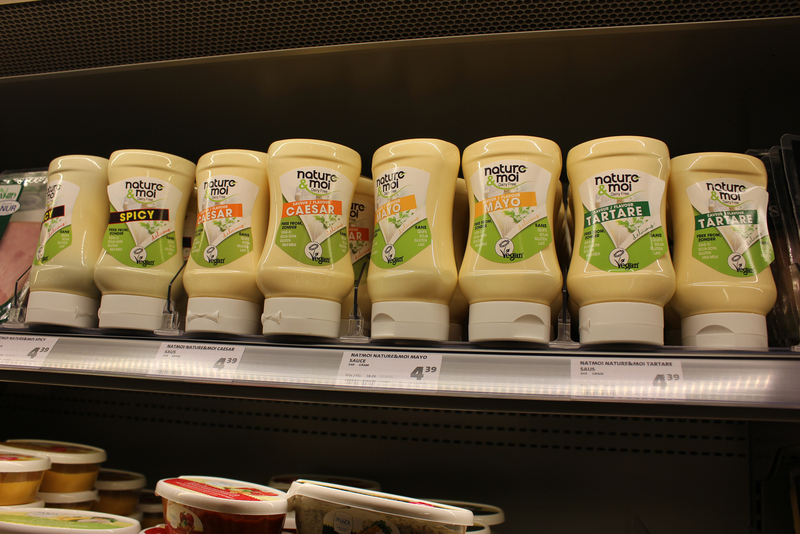 More and more specific vegan products are entering the supermarkets in the last few years. 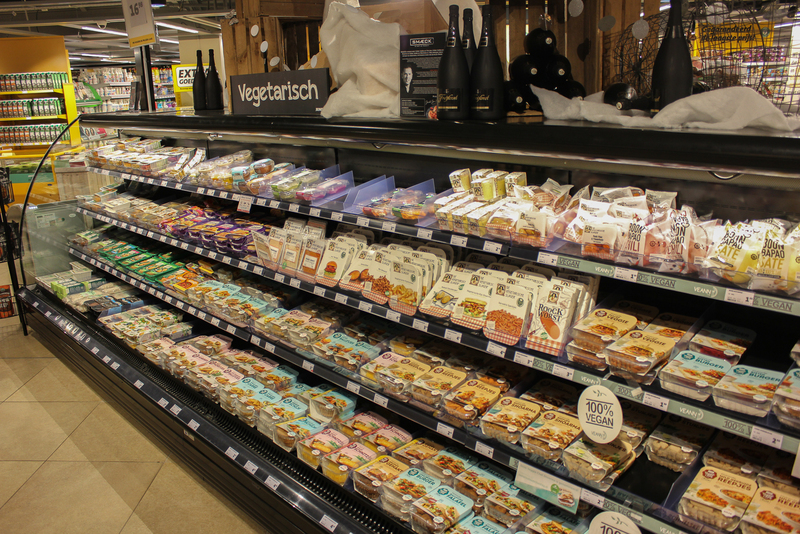 What’s new now is that some supermarkets are even creating whole vegan sections in their store. 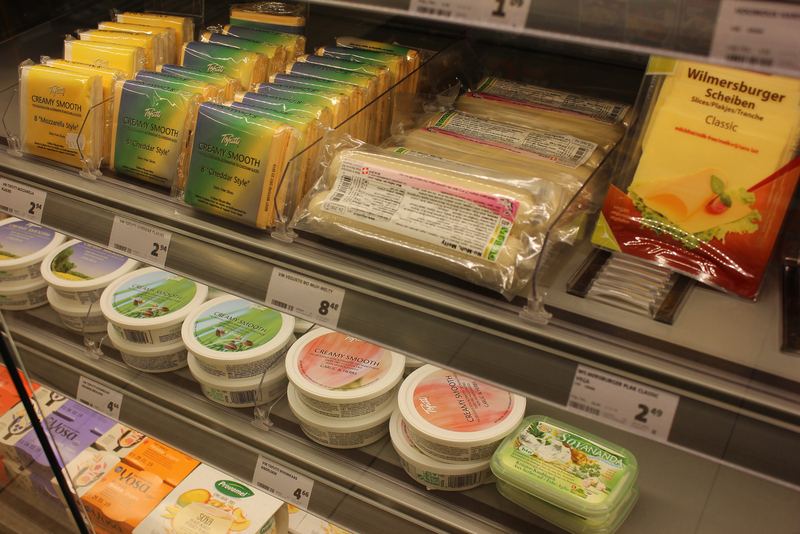 Jumbo supermarkets especially are active in this, with their store at the Stadhouderskade being the prime example. 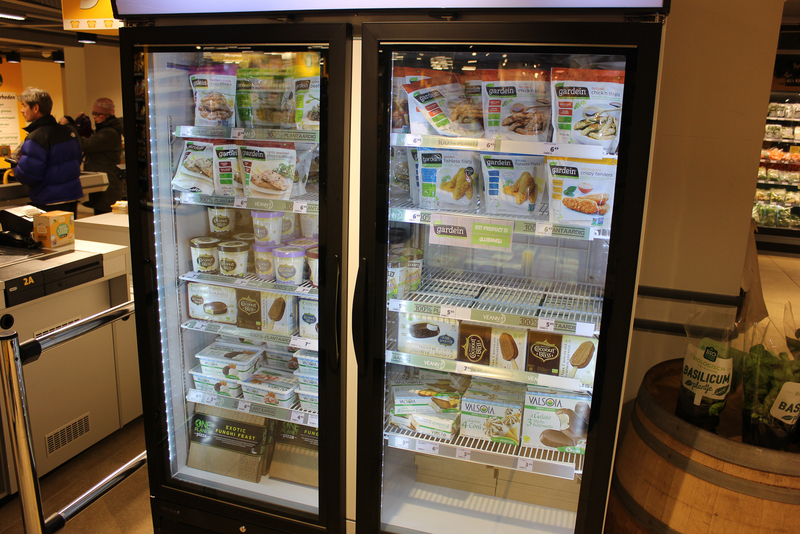 They have as many special vegan products in their store as some of the 100% vegan grocery stores I’ve visited in my life! 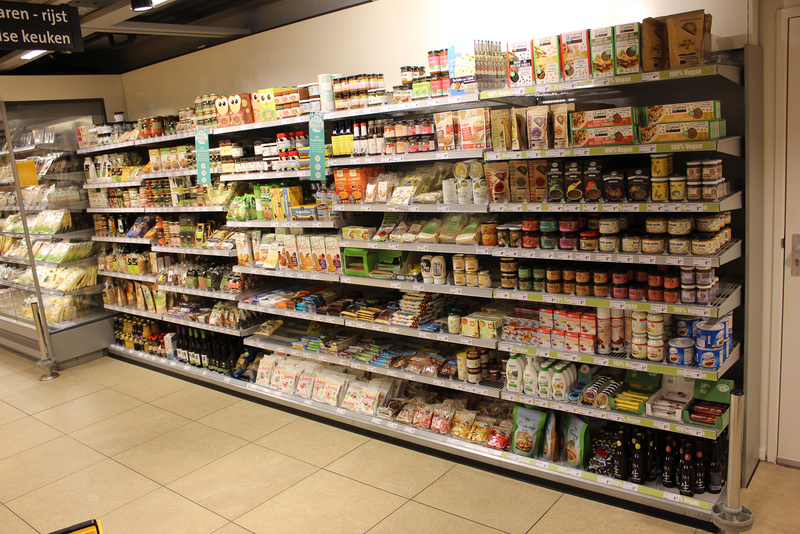 With more people being interested in consuming less animal products (for various reasons), vegan products are definately a growth market, and no wonder manufacturers and supermarkets are responding to this. 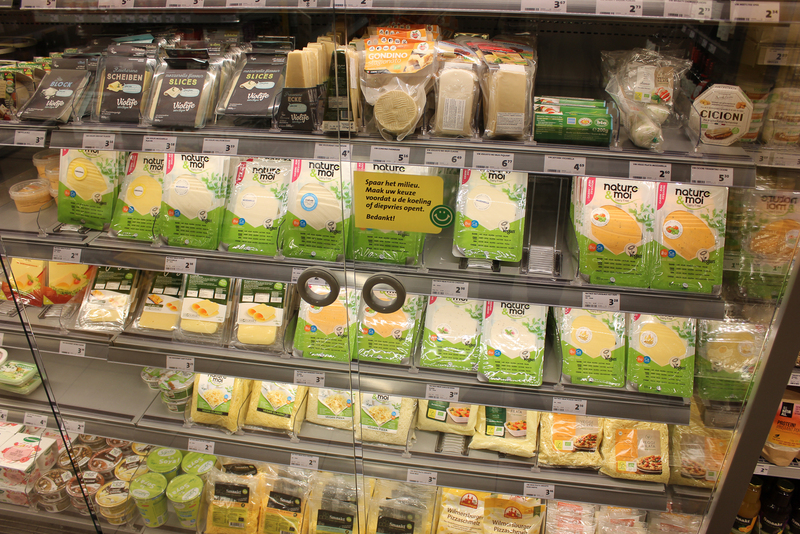 A Jumbo store in Groningen was the first one to dedicate a supermarket section of a few meters long to just vegan products. Everything you see in this picture is vegan! 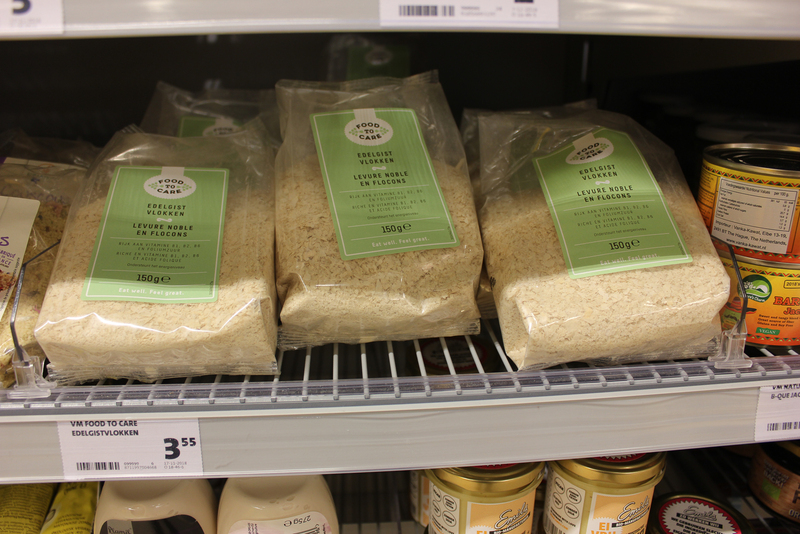 Nutritional yeast flakes, a standard food in every vegan’s kitchen cupboard and now available in a common supermarket. … and fondue cheese and cream cheese as well. 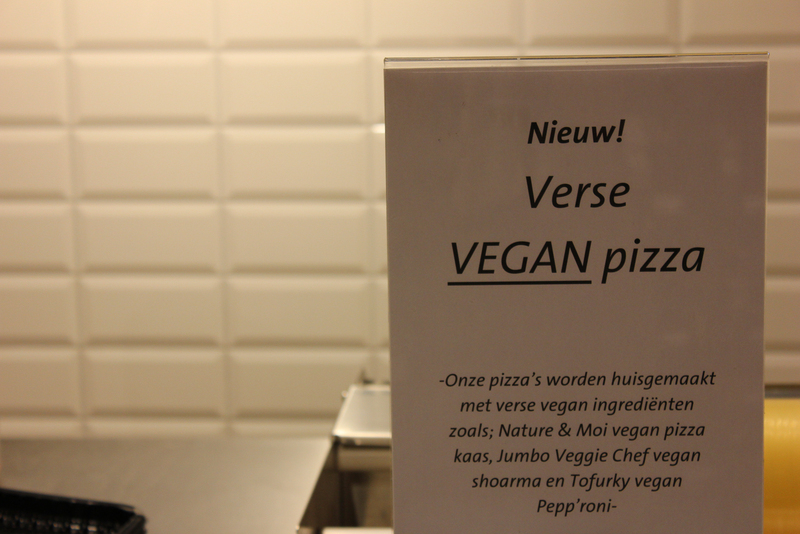 And then there are of course still the already existing sections: vegan meat alternatives, fresh pizza and a freezer with pizza and icecream. This store is worth a detour for sure!